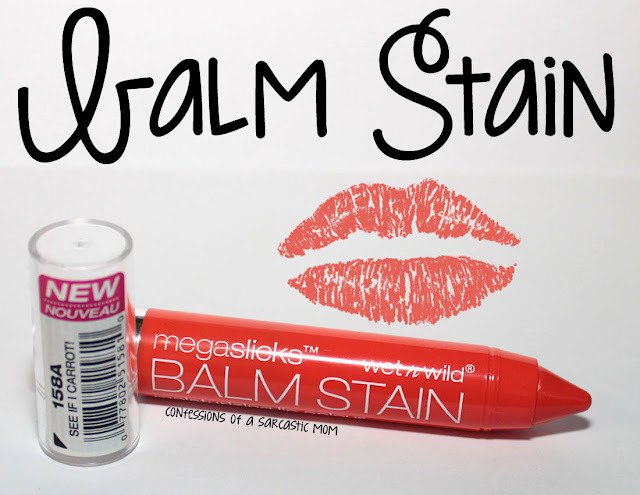 Do you prefer Wet n Wild balm stain or lipstick? 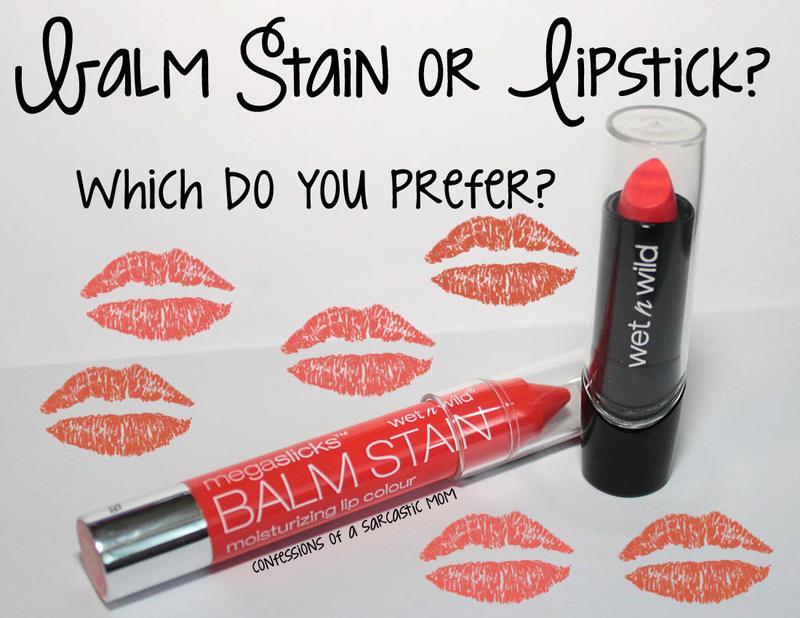 For your lips, are you a balm stain fan or a lipstick buff? I've got one of each to show you today - and I havta say, I like both, but balm stains have my heart for their staying power. I've got one of each here today to share with you... think you'll have a favorite? I chose some orange shades, of course! Below is a quick swatch of both of the back of my hand. 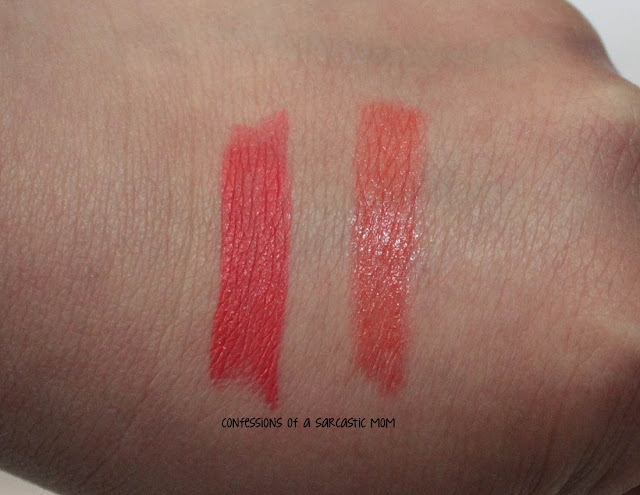 The lipstick, on the left, is definitely creamier and more pigmented. Both shades are shades I like, so in the end I'd have no trouble wearing either. Which gets my vote of longevity? Most definitely the balm stain! I have had great success with wearing these Megaslicks Balm Stains. They even wear overnight while I'm sleeping. I can wake up the next day and still have remnants of the stain on my lips. This particular stain is called See If I Carrot!, and it's a nice light orange shade. Swatches below. Which gets my vote for pigmentation? 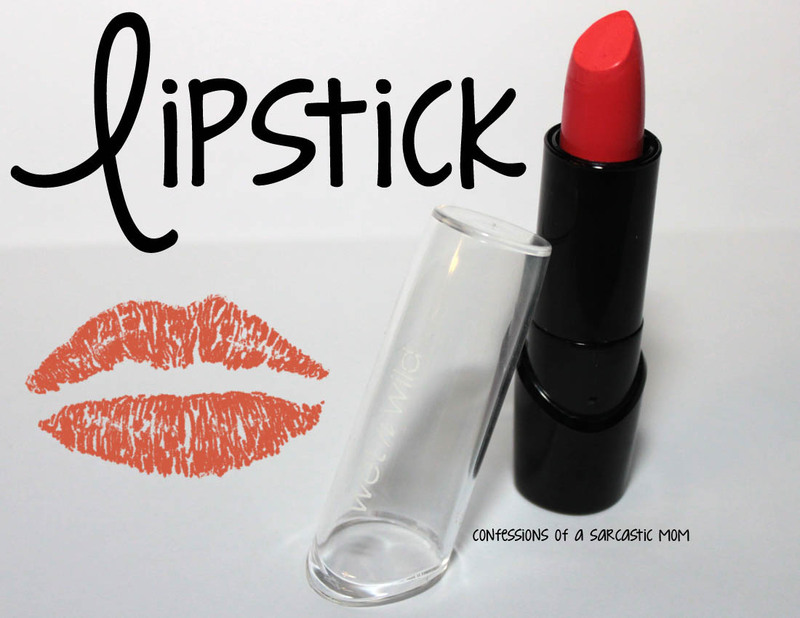 Definitely the lipstick! It's more pigmented from the get-go, but it does fade faster than the balm stain. I have to reapply at least once when I wear the lipstick out. It does stay around for a few hours, tho. The color is deeper and richer than with the balm stain. Swatches below. So, do you have a favorite? I like them both for different reasons, but I will always reach for the balm stain first. 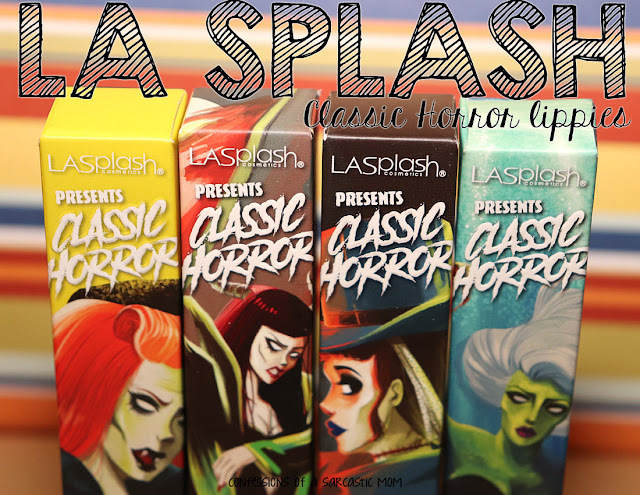 The price point is completely affordable on both - the balm stain is around $2.99, and the lipstick costs 99 cents! I even managed to snag the lipstick at Dollar General. Both are available wherever Wet n Wild cosmetics are sold - could be WalMart, KMart, CVS, Walgreens.... lots of places!